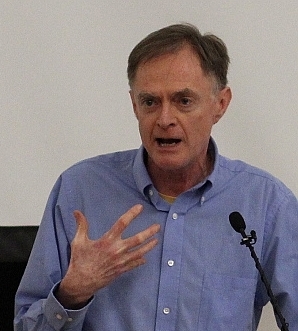 “Our popular Think Resilience course will be led by Richard Heinberg, who will be joined by special guests Katharine Hayhoe and Denise Fairchild. The course is rooted in learning how to build community resilience, which is why I thought the Community Solutions audience might be interested in hearing about it. 1. How to make sense of some of the most complex challenges—climate change, inequality, economic instability—that society now faces. When it comes to these crises, what are the underlying, systemic forces at play that brought us to this place? We believe we can only achieve meaningful change through this deeper level of understanding. For more information and to sign up, see the Think Resilience Course page.